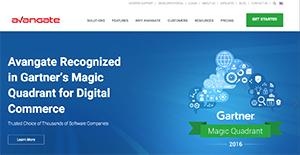 Avangate is an enterprise software company that helps SaaS, software, and online services companies to manage global payments, digital commerce, and subscription billing for direct and channel sales. The application is backed by a cloud platform and helps digital businesses maximize customer value and expand global reach. More than 4,000 digital businesses in greater than 180 countries use Avangate including top brands such as Kaspersky, Bitdefender, HP Software, Absolute Software, and Brocade. Fast path to revenue: Avangate offers global payments and distribution, subscription billing, and integrated e-commerce to reduce waiting time for risk approval, merchant accounts, etc. Maximum customer value: You can use advanced tools for automatic renewals. Minimizing passive churn affects 5-10% of revenues. Expand market reach: You can sell in more than 180 countries with multi-currency, global payments, and an integrated affiliate network of more than 50,0000 partners who are focused on software and digital products. Global Partner: Avangate is used by more than 4,000 SaaS and software companies worldwide, and has global infrastructure and footprint. Every enterprise has different wants and requires a system that can be personalized for their size, type of workers and buyers, and the specific industry they are in. For these reasons, no system can provide perfect tools out-of-the-box. When you search a software system, first be sure what you need it for. Read some Avangate reviews and ask yourself do you desire basic features or do you require sophisticated tools? Are there any industry-specific tools that you are searching for? Get the answers to these questions to aid your search. There are plenty of aspects that you need to reflect on and these include your finances, particular business wants, your organization size, integration requirements etc. Take your time, try out a few free trials, and finally zero in on the system that presents all that you require to enhance your organization efficiency and productivity. How Much Does Avangate Cost? We realize that when you make a decision to buy Accounting Software it’s important not only to see how experts evaluate it in their reviews, but also to find out if the real people and companies that buy it are actually satisfied with the product. That’s why we’ve created our behavior-based Customer Satisfaction Algorithm™ that gathers customer reviews, comments and Avangate reviews across a wide range of social media sites. The data is then presented in an easy to digest form showing how many people had positive and negative experience with Avangate. With that information at hand you should be equipped to make an informed buying decision that you won’t regret. What are Avangate pricing details? What integrations are available for Avangate? Pros: I like its customizability and ease of implementation. Avangate allows us to integrate it with our licensing system and to customize the checkout pages the way we want. The affiliate management platform helps you to start doing marketing right away. The Avangate’s support service is very responsive and always willing to help. Cons: There is nothing that I dislike about the service. All I can think of is its price, but on the other hand you get this product with great set of features, so at the end it is worth the price. Pros: They offer monetization platform. One of the worst out there, but they are all the same at teh bottom line. Cons: They charge flat, irresponsible and careless about any litigation. They just throw in a few lawyers and rely on you giving up the claim. They offer monetization platform. One of the worst out there, but they are all the same at teh bottom line. If you need more information about Avangate or you simply have a question let us know what you need and we’ll forward your request directly to the vendor.